In fact, low level laser therapy (LLLT) is among the most exciting new options in the treatment of hair loss. Lasers have long been used in all types of medical specialities, including dermatology. Many have used specific lasers to resurface the skin by creating a wound on the top layer so that new, fresh skin emerges from underneath. But a new generation of lasers takes a very different—‘wound-less’—approach. To understand how LLLT works, you have to alter the way you view lasers. LLLT isn’t a light source that causes thermal, or heat, damage. With LLLT, there is no cutting or burning sensation. The technology doesn’t even resemble the look of traditional lasers. Instead, LLLT is delivered by a device that contains panels of lasers that shine on the scalp. Men and women being treated for hair loss sit comfortably under the lasers as it gently delivers the phototherapy to the scalp. Most of our patients read a magazine during treatments. There is no pain or discomfort from the therapy--some patients do report some "scalp-tingling." The visible red light from the lasers travels several layers into the tissue without harming the skin and scalp. Because the laser light does not cut or burn the skin, the therapeutic light-energy is absorbed by the cells and the process of cell repair begins. One theory of how this noninvasive, non-chemical hair loss treatment works is that it stimulates the production of energy at the cellular level; therefore, improving cell function. It is believed that LLLT may increase blood flow to the treated area as well. 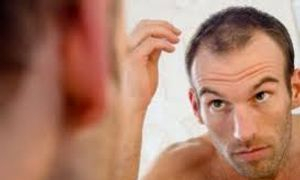 European studies have shown that LLLT stops hair loss in 85% of cases and stimulates new hair growth in 55% of cases. Who is a candidate for LLLT Treatment ? • Women who are experiencing or expect to experience post-partum hair loss. The best candidates tend to be people in the early stages of hair loss; although there has been dramatic results on people in the later stages. If you qualify for LLLT Hair loss Treatment, just click the below link to apply online and we will get back to you. Our present offer for a full course of 12 sessions is 120 euro instead of 240 euro.